I went back and forth for the longest time on this race. 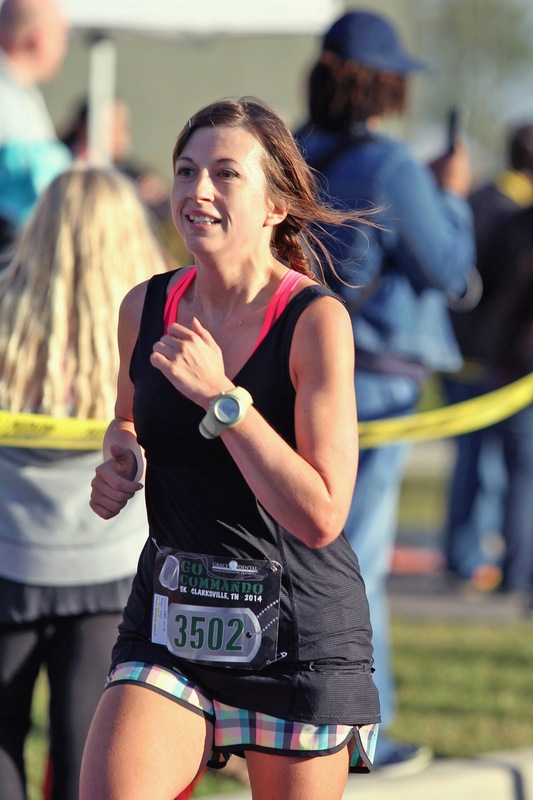 Do I run the 5k so I can directly compare my race to last year’s? Or do I run the new 10k since it’s the first year they are doing it? It worked out all for the best. My cousin Gillian emailed me a few weeks later and said she was thinking about training for the 5k, her first ever. 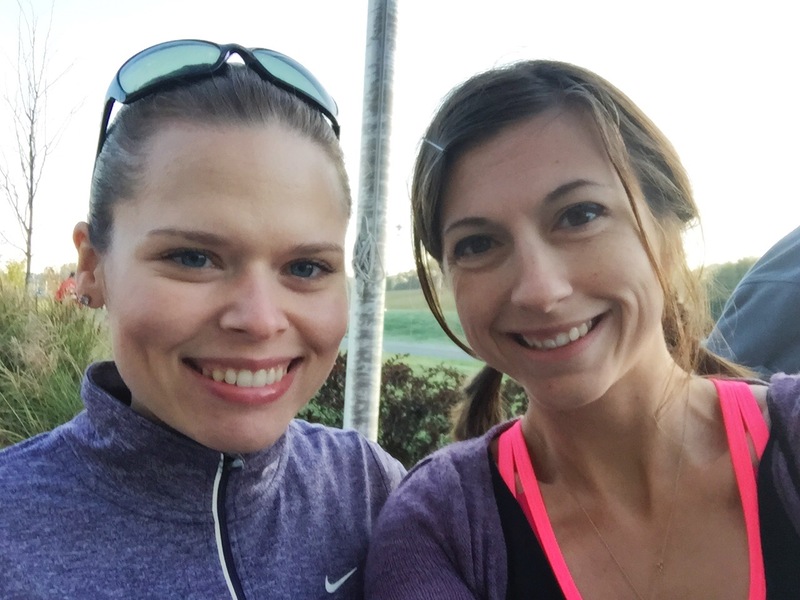 Yay, a race buddy! I had no real goals for this race. I wanted to be faster than last year (35:15), but other than that, I just planned on running by feel. I definitely didn’t plan to do another sub-30, since my ankle was still gimpy, and I was doing a running streak. I had spent the night at my parents’ house in Clarksville, so I got up at 6am to get ready and tape up my ankle. I arrived at the race location a little after 7am and parked. I met up with Gillian and we took the shuttle over to the start line. After checking a bag, I was ready. It was a little chilly before the start, but the sun promised to come out. It turned out to be great running weather: in the low 50s with the sun peeking through. 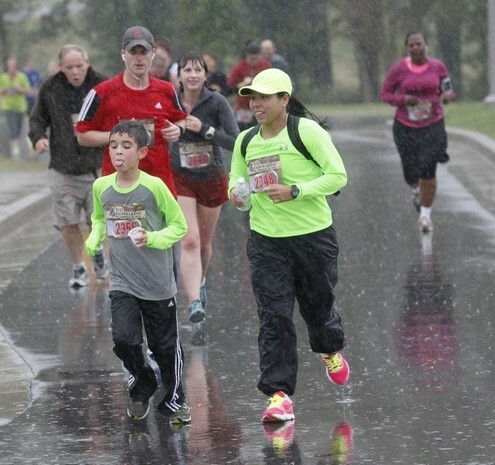 I wore shorts and a tank, but a lot of people were dressed for cold-weather running. I wondered if they got hot. 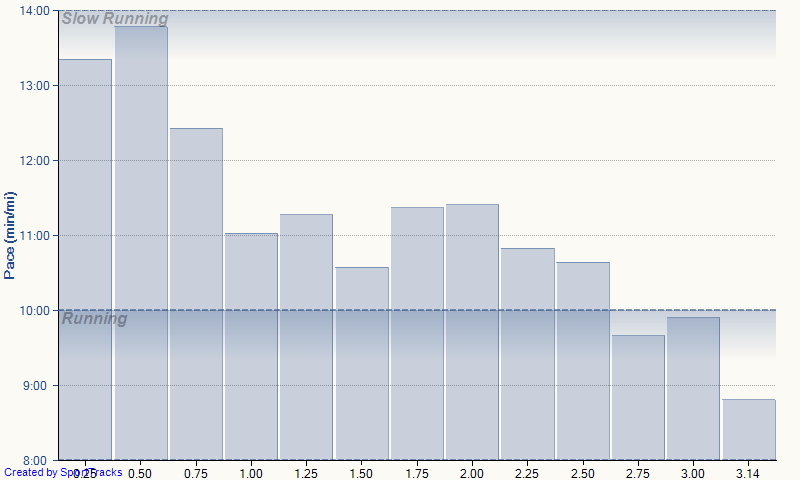 The race started promptly (my Garmin data says exactly 8am) after the national anthem and a prayer. Gillian and I started together and placed ourselves around the middle of the crowd. It was pretty congested starting out, so there was a bit of weaving around people and not being able to run the pace that you wanted to. Her shoe came untied right before the end of the first mile, and she told me to go on without her. Once most of the congestion cleared out, I settled into a good pace. I still had to weave around some people, as a lot of the race path is very narrow and it’s hard to get around someone slower. Mile two starts you on an out-and-back portion where the lane is split between those headed in and those headed back, so sometimes you have to weave into the other lane and dodge those runners to get around people. Knowing I was on the last mile, I started to push it a bit. However, I knew the only incline of the race was right at the end and that I needed to save something for that. A quick glance at my watch when I was about a half mile away from the finish told me I was going to come in really close to 30 minutes. I had been running by feel and not looking at my watch until then. I started to push a little more. 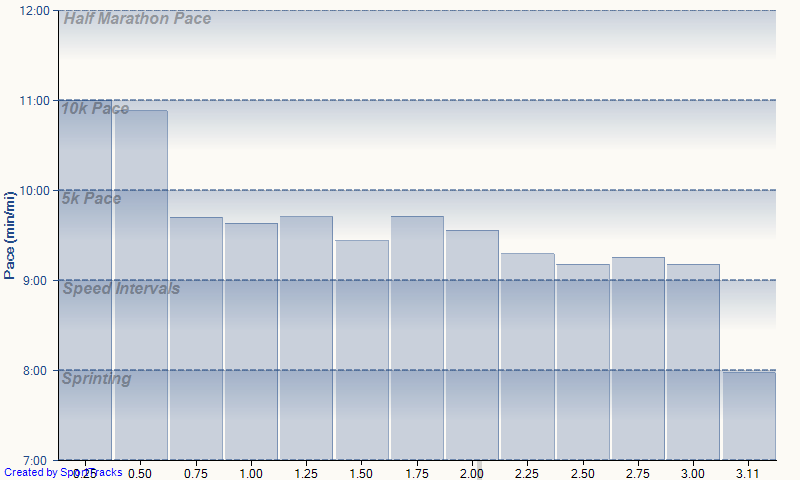 This is what an 8 minute pace looks like. Stop Garmin. Don’t throw up. So close to sub-30 again! But I’m happy with this time, especially considering my ankle. And you know I ❤ negative splits. Gillian did fantastic! 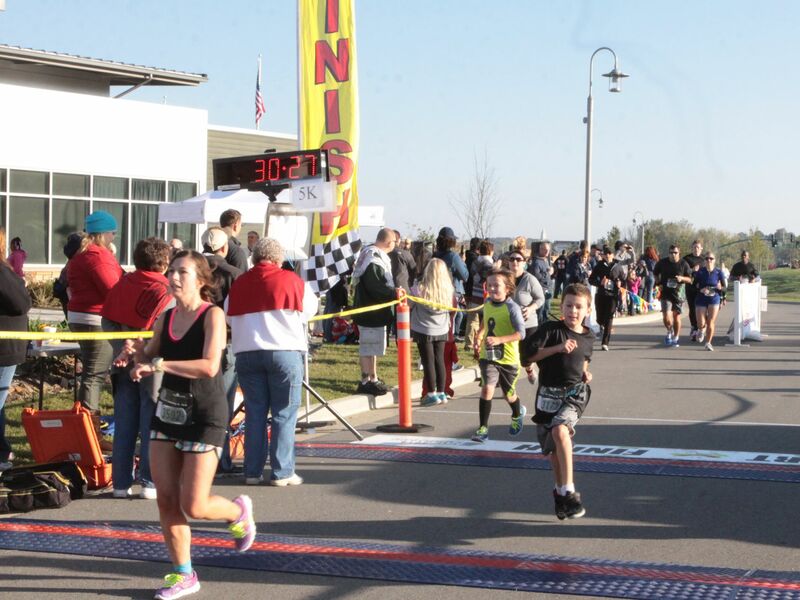 She ran her very first 5k in 31:19, 11th in her age group! Much better than my first. 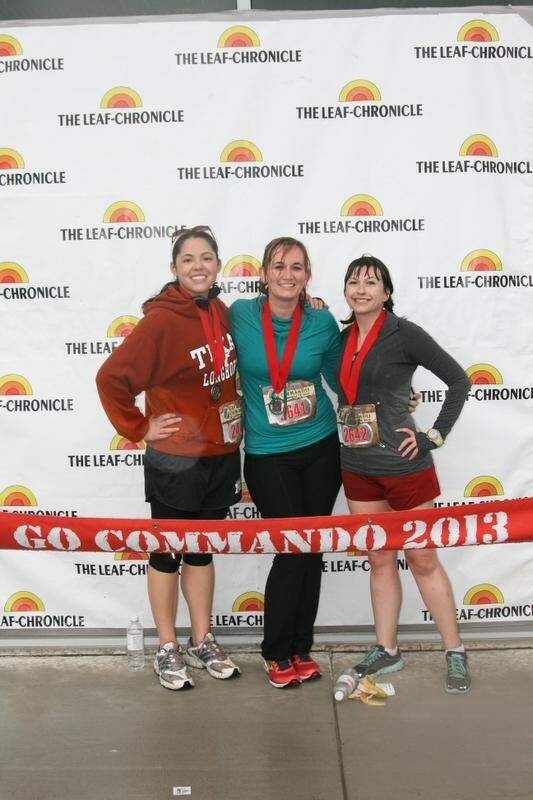 Go Commando is always a well put-together race. I like that they provide shorts as an option, instead of a shirt, although this year’s shorts are exactly the same as last year’s, except blue instead of black. If I run it again, I might opt for the shirt. The post-race food is always amazing. 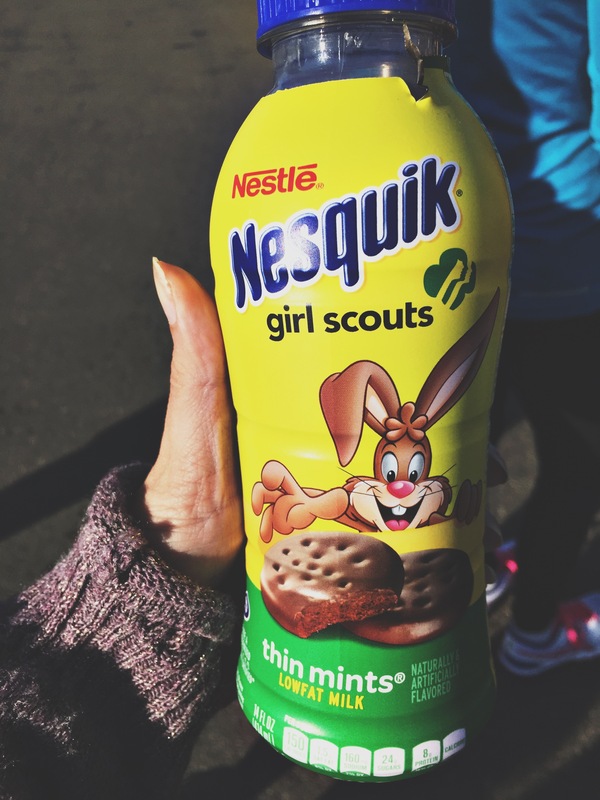 This year we had mini muffins, candy bars, pizza, sandwiches, some delicious cake bars with chocolate chips, bananas (of course), Nesquik (Thin Mint flavored! ), and coffee. My only complaint is about the congestion at the beginning. The race is starting to get big (I think they had a record 2000 people this year between all three races), so they might want to think about putting up some pace flags at the start to help people figure out where they need to be. I don’t think it’s big enough to warrant actual corrals with a staggered start, but just some direction would make it better. Here you can see my quarter mile splits. Notice the first half mile was much slower than the rest, due to the congestion. After that, I settled into a very consistent pace, until I started to push on the last mile! Could I have come in sub-30 again if the beginning of the race had been faster? Maybe. I don’t know. I wasn’t planning on pushing that hard. Overall, I’m very happy with my performance. Go Commando for 3.1 or 6.2? 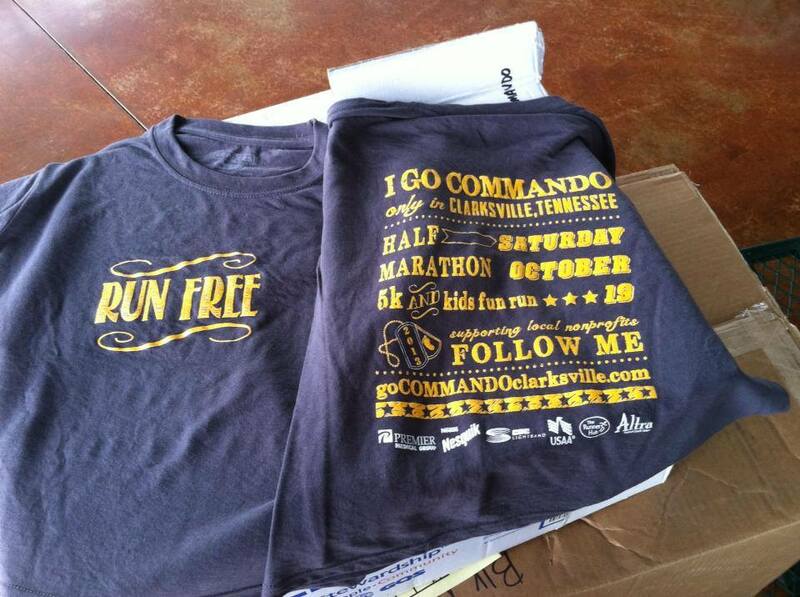 If you recall, last year I ran the Go Commando 5k in my hometown of Clarksville, which was a lot of fun. The 5k course was great. Flat and scenic (from what I could tell in the rain) and completely contained inside Liberty Park. 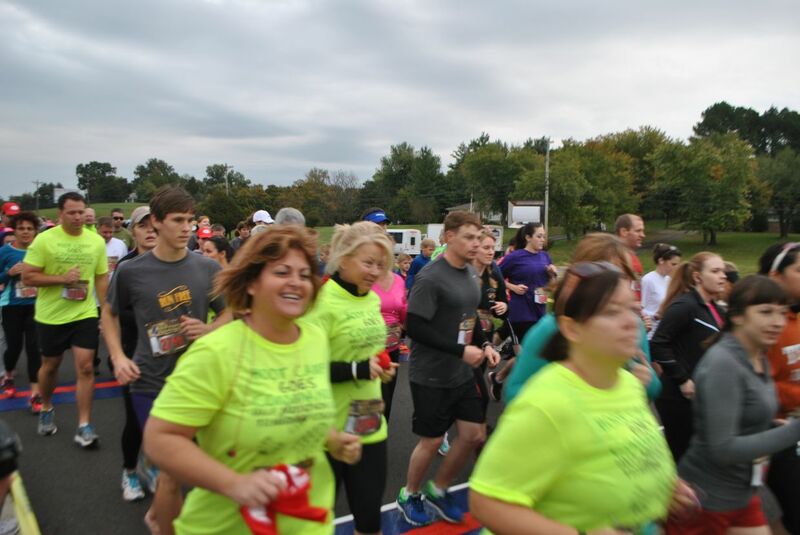 The 5k was the shorter of the two race distances they offered with the half marathon being the other distance. The question is: do I run the 5k or the 10k this year? I know the course, having run it before. I can directly compare my race effort to last year’s, since the course is the same. 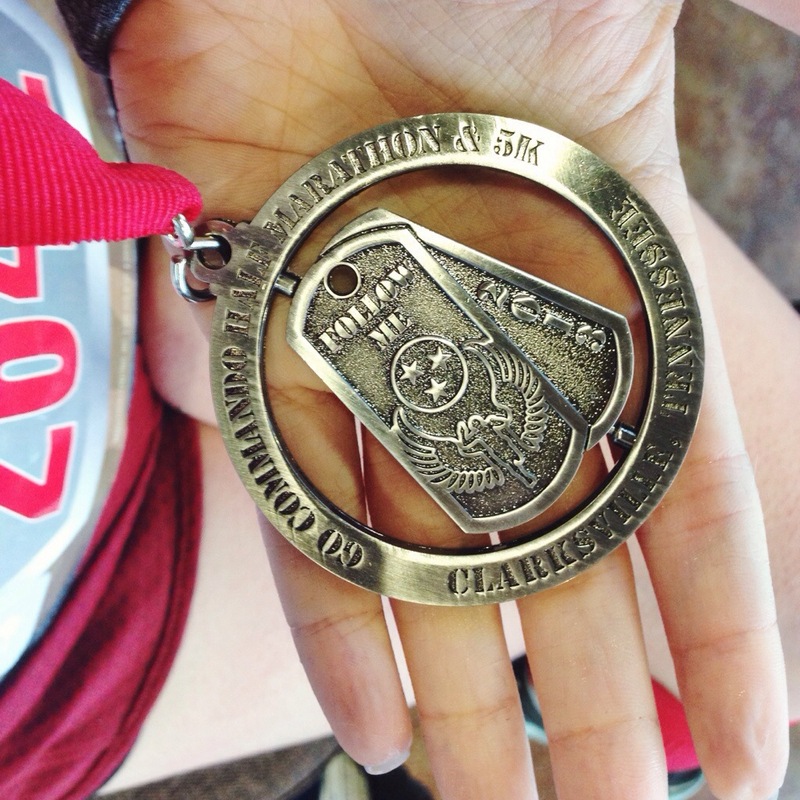 I’m already running (or have run) four 5ks this year. I’m only currently scheduled for one 10k. It’s the first year for the distance, so I’d get to be a part of the inaugural race. If I have a bad race at the Franklin Classic 10k, I can try to better my time here, since I’ll have an extra month and a half to train. The first price increase happens at the end of June, so I have some time to decide (as long as the 5k doesn’t sell out and make my decision for me). I could, theoretically, wait until after the Franklin Classic 10k in September and see how that goes, as the price increase is only $5 and doesn’t go up again until the end of September. Amanda and I arrived in Clarksville the night before the race and picked up our race packets at the Wilma Rudolph Event Center. Then we joined my parents for a nice carby dinner at Olive Garden. 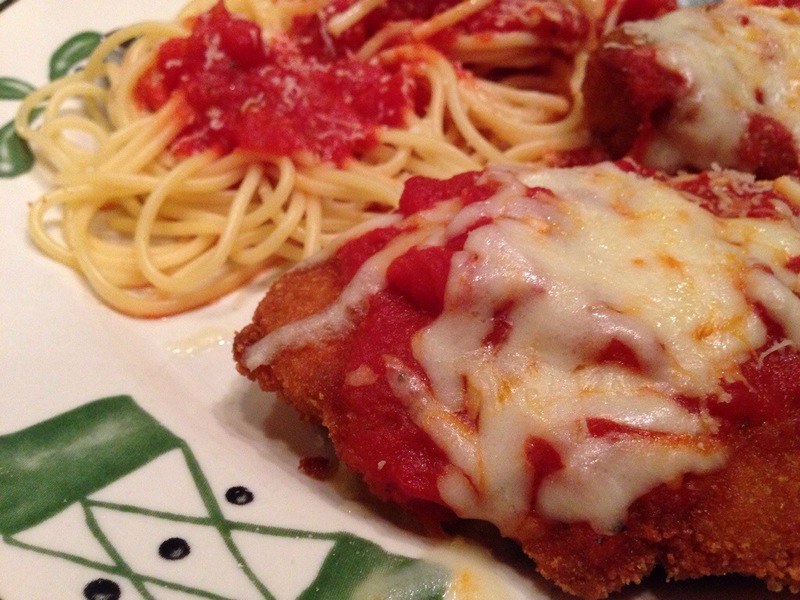 Mmmm, pasta and breadsticks! We got up at the awful hour of 5:30 the next morning. (I really shouldn’t complain about that, since that’s the time my next race STARTS.) We got dressed, downed a cereal bar, and headed out to Liberty Park. Since the 5k was entirely inside the park, that meant that you had to park in one of two designated parking lots about a mile down and then get shuttled to the start line. It was a little chilly, in the lower 50s and overcast, as had been predicted, but we waited for the shuttle and arrived at the park just as the half marathoners were taking off. Amanda had worn pants and a tank, but it had started to sprinkle, and she decided the tank was a poor decision. So we went inside the event center to the expo and bought her a nice long sleeved shirt instead. Then we had our final bathroom break, met up with Jessica, and gathered at the start line. I’m used to races starting about 5-10 minutes after they say they will, so it was a surprise when the gun went off about 2 minutes early. I didn’t have a real time goal for this race, figuring I’d come in around 35 minutes like the Oktoberfest 5k. My main goal was DO NOT WALK. And we’re off! Can you spot me? For the first half to three fourths of a mile, I jogged next to Amanda and Jessica. They typically run around a 13 min/mile, and I didn’t want the mistake of starting off too fast, so I stuck with them. However, after that, I settled in to a nice pace around 11-11:30 min/mile. And I stayed there. There were three points on the course where you loop back and get to pass all the people running behind you. I was running with them through the first of these, but on the second, I passed them and they were running together. I waved and continued on, probably just a minute or two in front of them at that point. About a mile and a half in there was a water station. I grabbed some Powerade and tried to chug it down as best I could without walking and without spilling it all over myself. I succeeded at not walking through the water stop, but failed at not spilling the drink. Most of it went all over me, but it was a downpour of rain by this point, so I didn’t really care. I was just glad that I had decided to go with long sleeves. The third loop back was just after the start of the third mile. I was feeling strong, so I picked up my speed a bit. I kept an eye out and saw Amanda, but Jessica wasn’t with her. I passed through the water station again without grabbing anything as I was only about a quarter mile from the finish at that point. 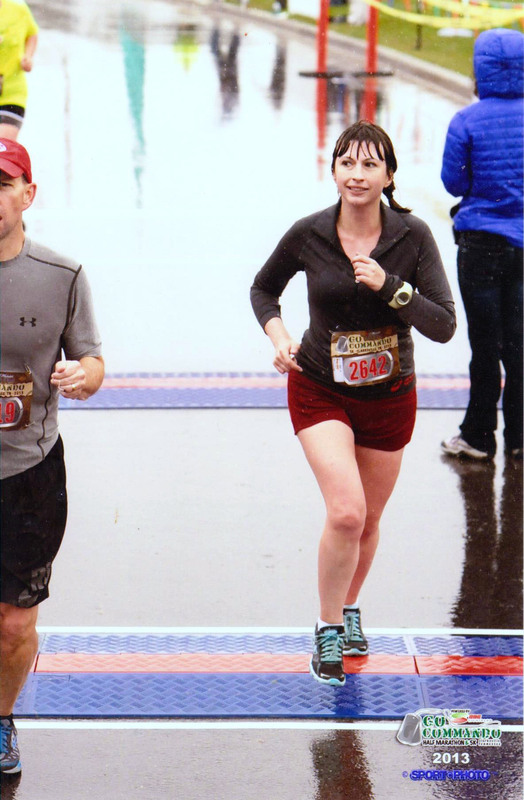 I was still feeling pretty strong, but going up to the finish line was virtually the only uphill in the race. I pushed through and sprinted through the finish line with an official time of 35:15, two seconds faster than I had done in Seattle. Except this time it was better because I did the whole thing WITHOUT WALKING. Yay! I grabbed a glazed doughnut and a banana and stood by the finish line waiting for my friends. Jessica came through about five minutes after I did, and Amanda followed about three minutes later. Woohoo! After checking our official results and taking a photo, we went inside to relax our legs a bit. We ended up over at a chirpractor booth, where Amanda and Jessica had their upper backs and shoulders worked on, and I got him to use the Stick on my legs. Hurts soooo good! I felt like a million bucks after that. I think I could have run another 5k at that point, ha! Amanda getting worked over by the chiropractor. We headed over to Blackhorse for a celebratory lunch, then Amanda and I headed back to Nashville. As always, here’s my quarter mile splits. Go go, negative splits, by the way! Mile 1 was done at a 12:38 pace, mile 2 at 11:08, mile 3 at 10:15, and the final 0.1 at 9:10. Yep, I shaved off about a minute each mile! 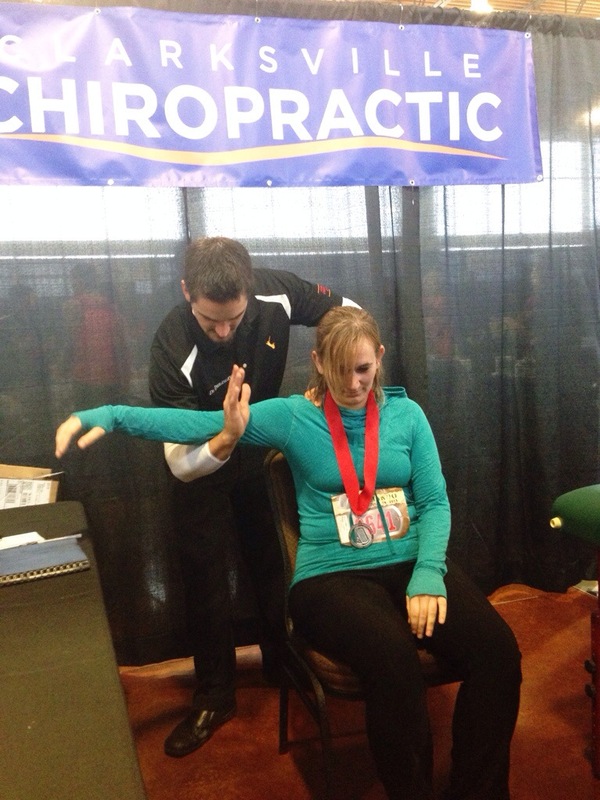 And the medals (yep, a medal for a 5k…I could get used to this) were pretty awesome. My favorite medal of the year! On my run yesterday evening, it was about 64. I wore a tank and skirt, which felt cold heading out and felt okay while running. I definitely think that I’d be too cold wearing that with a ten degree drop. I’ve packed a long-sleeve top and a short-sleeve top with shorts. (I know! I just had the urge to wear shorts, which I will probably regret.) They have a bag check next to the start, so my plan is to wear one, bring the other, and switch out if I think I need to before the start of the race. I’m leaning towards the long-sleeve, though that might have something to do with the fact that it’s cuter. Although I’ve never run in it before (since it’s been 80-90 for the past month), so I’m therefore breaking cardinal rule number one of racing: never wear anything new. I did wear it to a concert, though, so maybe that counts?